Tourists keep returning to Cancun, Mexico for a reason. Prepare to be enchanted by crystal blue waters, perfect beach weather and a bustling nightlife. You won’t be disappointed if you stay at one of the popular Oasis resorts in Cancun. Cancun boasts a large number of fair weather days—over 200 annually. Temperatures average at a comfortable 80 degrees Fahrenheit and the mild weather allows visitors to take advantage of the city’s fourteen miles of pristine white beaches. This is why Cancun is the number one destination in the Caribbean, topping both the Bahamas and Puerto Rico. Besides relaxing on the beach, visitors often find themselves taking part in one of the many water-themed activities available. Snorkeling and scuba diving are exceptionally popular since Cancun has over two-dozen dive sites open. Depths for dives average anywhere from forty to eight-five feet and divers can explore the coral reefs and sinkholes in the area. Eco-tourism is another common attraction for visitors of Cancun. The Nichupte Lagoon borders the resort area, but the natural beauty of the terrain has been maintained despite the land development in the area. Tourists can sign up for a jungle tour aboard a waverunner and see the unique vegetation and wildlife indigenous to the lagoon. If you’re looking to be pampered during your Cancun stay, then you must consider booking your vacation at one of the eight gorgeous Oasis properties. The Oasis Hotels are all-inclusive resorts, meaning everything is included with your package: all food, beverages and resort activities. 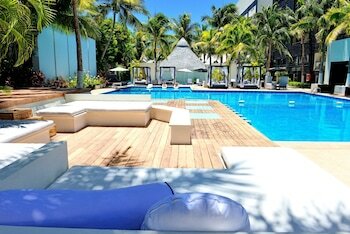 The hotels have features that include swim-up bars, poolside bar and lounge areas, beach bars, 24-hour room service, spa treatments and outdoor pools. 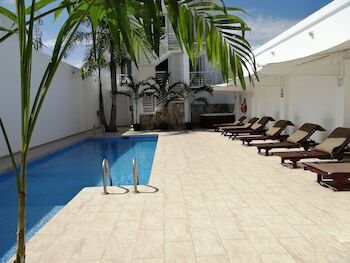 The Grand Oasis Viva, Oasis Sens and Oasis Viva are for adults only with the Oasis Sens being LGBTQ friendly. The Oasis Cancun, Grand Oasis Palm, Oasis Palm, Grand Oasis Cancun and Oasis Smart permit children on the premises. A stay in Cancun at one of the Oasis resorts will give you the chance to have a vacation of a lifetime. 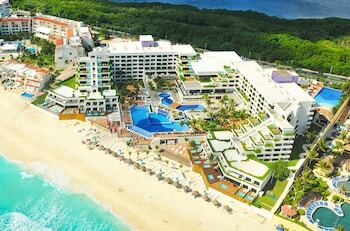 Packages are affordable and the resorts are near all of the most popular hotspots including the Cancun Golf Club, Downtown Cancun and Isla Mujeres. 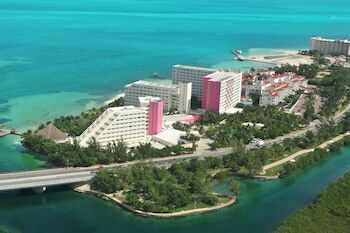 Cheaprooms.com has all of the information you’ll need to plan your dream getaway to Cancun.